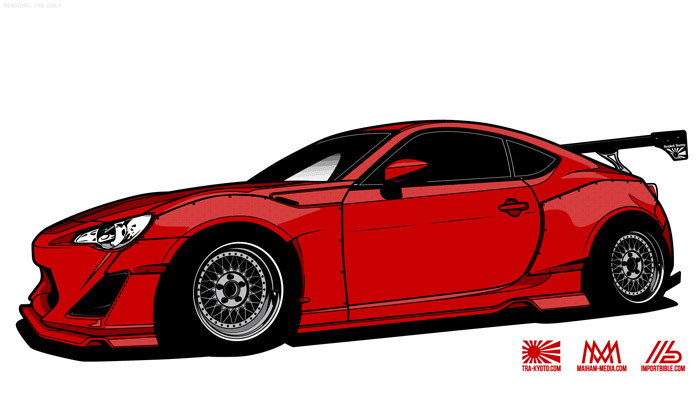 Import Bible teams up with talented media group Maiham Media and Japanese shop TRA Kyoto to create high-resolution wallpapers of the popular wide body Rocket Bunny kit for the Scion FR-S. Seen early this month TRA Kyoto’s is the talk of the community as of lately. Wallpapers are available in different sizes and are free for personal use. Posted by David Nguyen, 6 years ago.